Named after the famous girl’s scout cookie, Dosido is an extremely popular hybrid between GSC x Faceoff OG! This strain has a sweet/minty spin on the classic GSC taste, and an extremely high THC level! This strain hits you with an immediate head rush and euphoric sensation, followed by extreme relaxation and an intense body high. Dosido is the perfect strain for an experienced smoker with insomnia, chronic pain, nausea or depression. Mendo Breath or “Mendo” is a rare indica-dominant hybrid, crossed between classic OG Kush x Mendo Montage. Its smell is sweet and earthy, with hints of vanilla and “candy-like” aromas. The nugs are dense and tight with furry orange hairs. Effects of the strain hit immediately, causing a full-body as well as a cerebral sensation. Users experience sedation and relaxation, accompanied by euphoria. 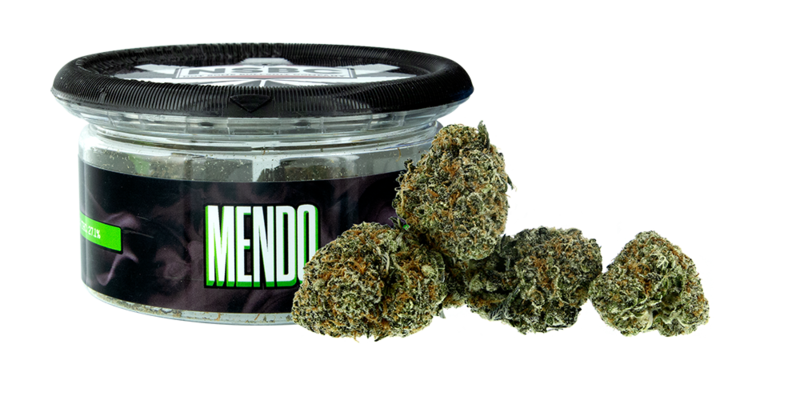 Do to its couchlock effect, Mendo Breath is recommended for those suffering from chronic pain, inflammation, muscle spasms and chronic stress! Skywalker OG [Kush] is an Indica-dominant hybrid crossed between OG Kush x Skywalker, and produces both sativa and indica effects. Most common associated effects include a couch-lock feeling accompanied by relaxation and slight euphoria. This strain has a sweet and spicy diesel taste with hints of earth tones, and is most commonly used for chronic pain, stress and mild-to-moderate depression. Pie Hoe is a cross of Cherry pie with GDP X Tahoe OG. This 60/40 indica-dominant strain carries a sweet cherry and earthy hash flavor, taking after both sides of the family. Though potently euphoric, effects leave enough mental clarity for you to stay functional and engaged throughout the day’s tasks. This hybrid is ideal for social afternoons, unwinding after a stressful day or kick starting the appetite. Fire OG is across between OG Kush x SFV OG, with earthy and piney flavor. 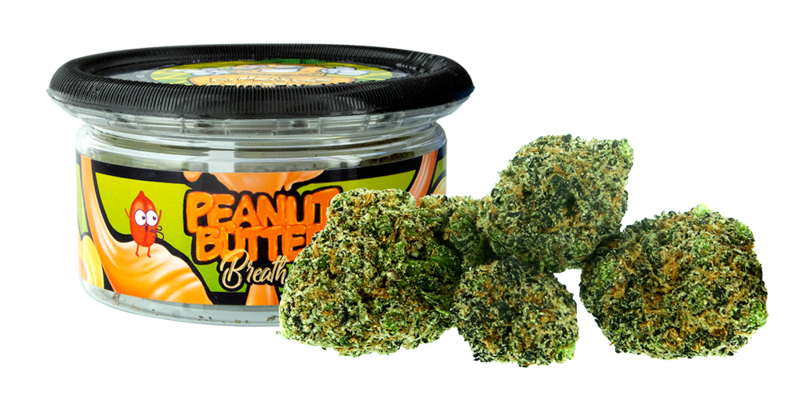 Effects of this strain include an immediate and instant creative rush followed by strong sedative feelings and increased appetite. This strain is used for chronic pain, stress, mild depression and sleep disorders. A sativa-dominant hybrid crossed between Lemon Kush x Jack Herer! 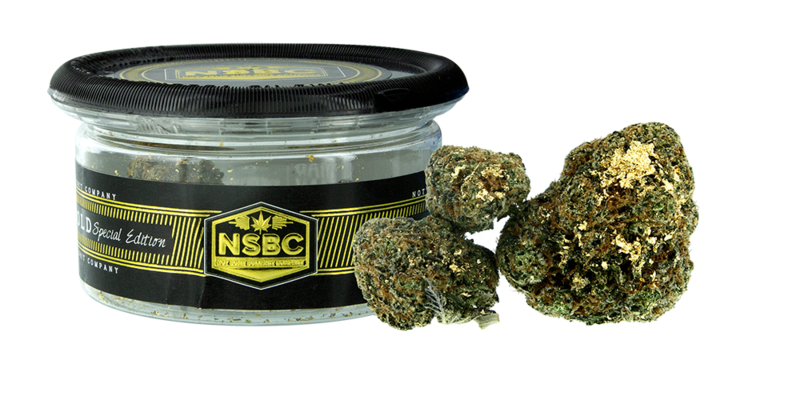 The structure of the nugs is dense and sticky with the look of a “kush strain.” The nose is sharp and citrusy (like the distinct Jack Herer strains), with a peppery earthy scent and mild vanilla undertones. The effects are intense and very long-lasting, usually putting the user in a relaxed state of euphoria. Godfather OG is a very popular, very strong Indica-dominant strain. Its genetics are primarily Bubba Kush x LA Confidential x GDP, and produces dense and frosty nugs with hints of purple. Godfather OG delivers a piney/earth aroma, as potent as its effects. With such a high THC content and sedative effect, this strain is recommended for those with insomnia, anxiety, depression, chronic pain and mood disorders. Platinum Cookies or “Platinum GSC,” is a balanced hybrid crossed between OG Kush x Durban Poison. This strain has a sweet kushy smell and a musky/earthy flavor that is similar to it’s aroma. Platinum Cookies nugs are tight and dense (usually with a hint of purple) and are covered in frost and hairs. Its high is close to the couch lock GSC effects, but much stronger. Users report an intense euphoric boost accompanied by a sedative high that is cerebral, while at the same time producing a strong body buzz. Platinum cookies is chosen by patients looking for relief from chronic anxiety, stress, nausea and migraines. Lemon Cake is a pungent sativa-dominant hybrid crossed between Lemon OG x “a dangerously powerful cheese strain.” It has a unique flavor profile that’s both sweet and citrusy, with a hint of cheesy notes. The high is just as appealing as its flavor, producing euphoria and relaxation of both the mind and body! Lemon Cake is recommended for those with conditions such as chronic stress, minor physical discomfort or loss of appetite. Rolex OG is an award-winning Indica-dominant hybrid (between White Fire OG x Kuchi), taking home the Best Overall award at the High Times’ Cannabis Cup in 2013 and in the 2014 High Life Cup in Michigan. Rolex OG buds are dense and fuzzy, with a light color and fiery orange hairs. The smell of this strain is distinct – earthy and skunky with a sharp hint of cheese. The effects of this strain are heavy and begin with an immediate head rush followed by motivation and focus and settling on a cloud of sedation and munchies. Rolex OG is recommended with those suffering from insomnia, chronic pain, mild to moderate depression, anxiety and loss of appetite. King Louie XIII (is an extremely popular Southern California indica-dominant strain. This strain announces by its smell; the difference is this monarch’s odor is one that’s meant to be enjoyed. Its dense nugs have an overwhelmingly piney smell with a piney, earthy musk that will have you thinking of your last forest adventure. Bred in part from OG Kush, Louis XIII has a very similar spicy kush aroma. The nugs are extremely dense with bright orange hairs. King Louie will overwhelm your senses and is definitely a hard hitter – leaving your body sedated and your mind uplifted and euphoric. Considering it’s effects, this strain is recommended for individuals suffering from insomnia and chronic pain. This delicious newcomer is the hybrid cross of Dosidos x Purple Punch! Much like its parents, Slurricane is sweet and fruity with a hint of candy flavors. The nugs are dense and frosty with a splash of purple color. Slurricane’s mostly-indica genetics provide a sedative and relaxing body-high, followed by a cerebral rush of euphoria. This strain is recommended for patients with restlessness, insomnia, pain, anxiety and more! This Sativa dominant hybrid is known for it’s high potency and citrusy flavor profile! Slymer’s star-studded lineage of Trainwreck x Jack The Ripper X Trinity Mix, will stimulate your appetite while inspiring creative visions, ideas and conversations when riding this cerebral high for hours. These dusted buds coated with sweet terpenes and powerful cannabinoids will intoxicate you with it’s aroma of lemon, lime and citrus spice! Named one of the 12 best marijuana strains in America, Slymer offers a holistic method for mental wellness in depression and stress. Enjoy this Sunday Funday favorite Everyday! 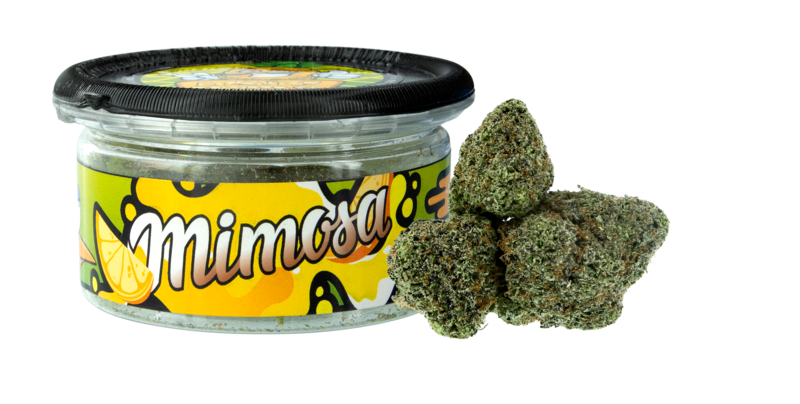 Mimosa is a cross of Clementine and Purple Punch and has become the rising star with cannabis connoisseurs. Known for it’s sharp notes of citrus and orange with a touch of berry this tasty strain is a Hybrid with a incline toward the Sativa side. Perfect for the wake-n-bake to give you that clear-headed high with a boast of energy! Cheers to this uplifting strain! This strains honey scent is as sweet as it’s taste! 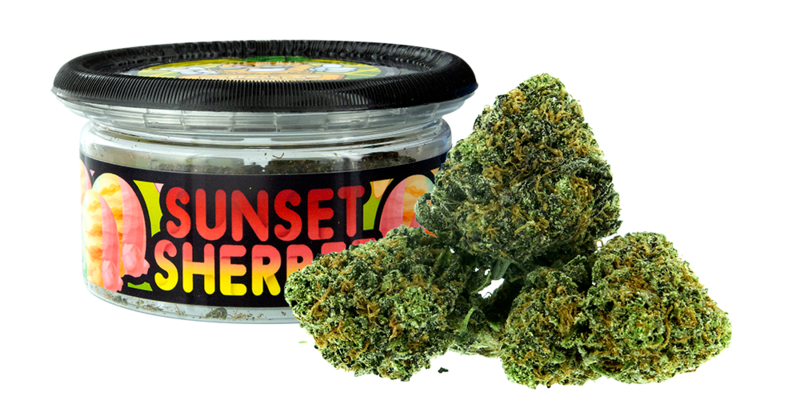 Sunset Sherbet is a indica-leaning hybrid with it’s pedigree from GSC and offers some therapeutic benefits. Consumers have experienced relieve with dulling pain, ease of muscle tension, dampening inflammation and relieving cramps. Give your body a physical relaxation while maintaining your cerebral focus and enjoy this sweet treat! Sunday Driver is a popular exotic cross between Grape Pie X Fruity Pebbles. It is known for its amazing flavor and colors – with tons of trichomes, dense buds and bright purple and green! The nugs are a great size and extremely dense and sticky. This strain is known to help with relieving pain & anxiety. Its strong effects produce a “couch lock” feeling, followed by euphoria. Cookies (or Girl Scout Cookies – GSC) is an OG Kush and Durban Poison hybrid cross known worldwide. With a sweet and earthy aroma and flavor, GSC launches you to euphoria’s top floor where full-body relaxation meets a intense cerebral stimulation. A little goes a long way with this hybrid, whose THC levels have won it numerous Cannabis Cup awards. This classic and timeless strain is also the parent to many popular “cookies” strains! Patients needing a strong dose of relief may look to GSC for severe pain, nausea, and appetite loss. Grape Ape x Grapefruit and another undisclosed strain have been crossed to produce this candy-flavored exotic cannabis (bred by 3rd Gen Family and Terp Hogz crosses Zkittles.) 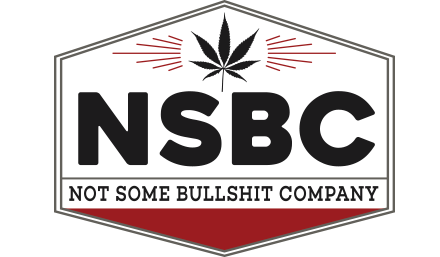 This award-winning combination took 1st Place at the 2016 Emerald Cup and 1st Place Indica at the 2015 Cannabis Cups in San Francisco and in Michigan. The chunky colas explode in a spectrum of light green hues and emit a sweet, tropical blend of sweet fruit flavors. The effects of Zkittlez are surprisingly uplifting for an indica, leaving consumers focused, alert, and happy while relaxing the body to help unwind any time of day. This strain is often used by patients managing anxiety and chronic stress, as well as depression. Many report it can also relieve pain and nausea.